Last weekend at the EduCon conference, I found myself in several wonderful conversations about language. The words that are used, and often misused, when discussing education, schools, students, and learning. And especially in the debate over education reform. Words like the ones in the picture above (click to enlarge) that Meredith asked us to reflect on and decide if there was a consensus of meaning. It wasn’t an easy task. Most of these terms, like “accountability” and “STEM” (or any of the variations), are often reinterpreted by different groups depending on the goals being advocated. Many of the same words reappeared the next day during a session in which Diana challenged us to brainstorm our own collection of “silver bullets, panaceas and elixirs”. Part of the collection from our table can be seen above. Some overlap, but much of the same vocabulary. One thing I think both groups agreed on is that most of the words were not inherently bad (in Diana’s session we had a small pile of words that the table felt should be rejected). 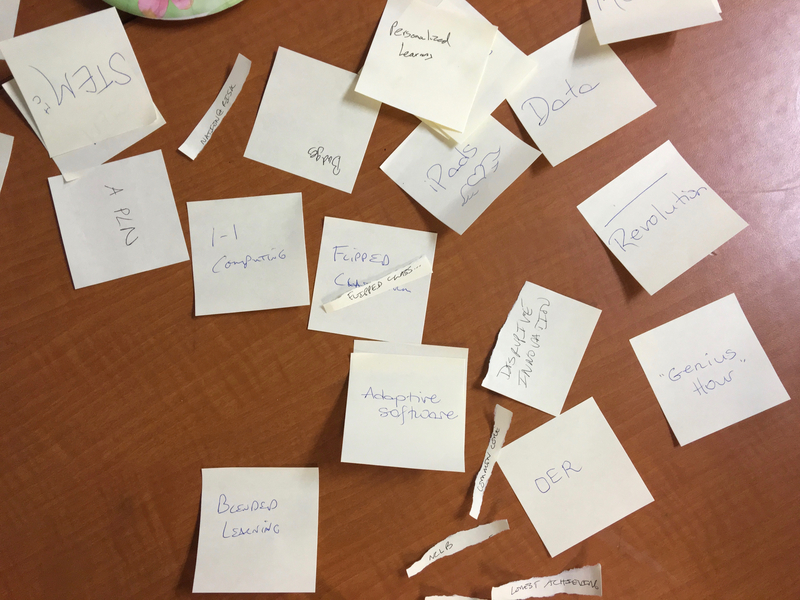 Almost all the ideas represented on both the Post-It notes and the word wall began their life in the education discussion with good intentions. The problem is always in the implementation. For me a good example of that misapplication is the concept of the “flipped” classroom, which came up in both groups. The idea was to shift some of the basic fact gathering responsibility to students so that more classtime could be spent in adding context to those fact. Too many teachers, however, simply recorded the same lectures they always gave for kids to watch for homework, and then have them do the same assignments they used to give for homework during class. Flipped, but not to the benefit of the students. Then, part of both conversations, was my particular pet annoyance phrase: “personalized” learning. I won’t waste space here repeating myself (you can read my past rants on the topic if you like) but this is one concept that sounds good until you see how it gets applied, especially in edtech products which are more about programming than personalizing. Anyway, these great discussions were just part of the three days. You can watch the panels from Friday (jump to 17 minutes) and Sunday (jump to 1 hour 10 minutes), where the topic for both was another frequently used ed reform term: “empowerment”. 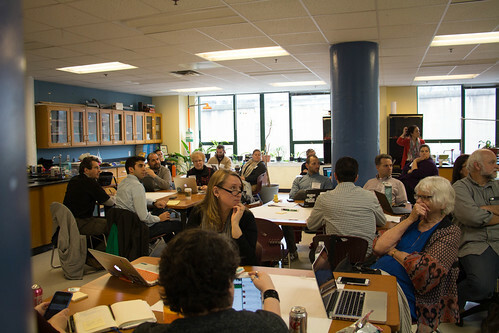 And if you would like to be part of discussions like this, plan to join us for EduCon next year, January 27-29. Last week our overly-large school district finally released our “Guidelines On the Use ofÂ Social Media and Related Electronic Communication Tools”. Fifteen pages of text that only a lawyer could love and which took around three years to finish. Although I was one of many who participated in the process, it’s very hard to spot my contributions. Anyway, as I was preparing to leave for Educon last Friday, one of our library specialists asked if I would do a session on the guidelines at their mini-conference, one week away. I agreed1Our librarians are a great group of people and I love having the chance to work with them, even on short notice., but wrote the description with the idea of spending most of the time I had discussing how and why they should use social media, rather than relating a list of do’s and don’ts. And the conversations at Educon gave me just the hook I need. The theme for the Friday night and Sunday morning panels addressed the question of whether schools and educators should be open and transparent about our work (which frankly, was answered with a big yes from everyone I spoke to) and to what degree. As their roles in society rapidly change, librarians certainly need to find new and creative ways to open their spaces and connect them to their communities. Of course, I will only have 45 minutes to make the case for the professional use of social media but in that time, at least we can get the conversation started. It’s been a week since returning from Educon1 and, although I have managed to read a few of the wonderful reflections written by others,Â I’m just now sifting through my notes and thoughts about the sixth edition of this remarkable event. One session that won’t get out of my head was the Unraveling the Textbook2 discussion lead by John Pederson and Diana Laufenberg. Our starting point was the premise that access to information has changed radically in the past couple of decades but the Â textbooks used by most students have not. It’s a topic I’ve reflected on and ranted about in this space andÂ it was great to hear from a variety of perspectives, both about why the current model is broken and how the format needs to change. But we, of course, didn’t find any solutions in only 90 minutes. However, the comments of one teacher in the group more than halfway through the discussion stood out as both contrary to the prevailing thoughts and as a good reminder of how most of us in the room were a little bit ahead of our colleagues. One random idea I tossed out to begin to address that issue was to abandon the term “textbook” altogether. It carries too much baggage with most people and is too often used to define the curriculum for a particular course of study. Nothing particularly revolutionary, just some random thoughts. The whole topic needs the collective efforts of many smart educators like the ones who shared in our discussion at Educon. 1 Really? Where the hell did this week go?? 2 Don’t bother clicking on the link for the recording on that page. For one thing the sound didn’t work. 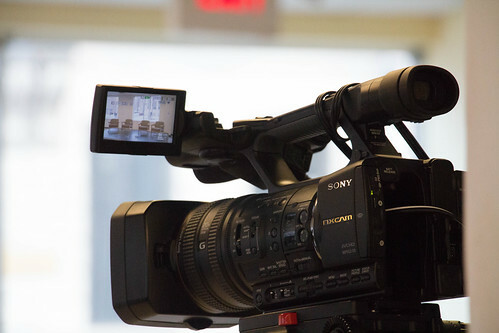 But beyond that, most Educon sessions are conversations, not presentations, and capturing those interactions on video are difficult at best. 3 Our math teachers will get that wish as our school board got tired of hearing from complaining parents and voted to buy regular books to “supplement” the online versions. Or train anyone. Don’t ask me to staff develop someone (sounds painful). And I’m not even sure inservice is a real word, much less can be used as a verb. Looking back through my EduCon notes and listen to some of the sessions I missed, this issue of the words we use to describe our professional practice came up a surprising number of times. More than a few people, both in sessions and hallway conversations, noted how the verbsÂ “teach” and “teaching” have come to mean a one-way dispensing of information by someone called a “teacher”, exactly the approach many of us who attend EduCon are trying to change. In my little corner of the education world, where we work with adults who work with kids, the verb “train” is frequently substituted for “teach”, a term that seems far more appropriate when talking about dogs and horses. When discussing a rote set of routines to be replicated. Or we use the phrase “professional development”, which someone remarked (I wish I could remember who)Â sounded more like we were building a medical center than helping people learn. Although he wasn’t specially discussing this topic, Seth Godin recently posted about inaccurate labels and why we need them. As soon as we put a word on it, we’ve started to tell a story, a caricature, a version of the truth but not the whole truth. The label removes us from reality. It takes us away from the actual experience. But do we have any choice? Maybe not, at least when it comes to the labels for our current educational structure that we’ve been using for centuries. However, if we really want to change school to be more of a shared learning process (a continuing discussion over multiple EduCons), we are going to need some new vocabulary to fit. 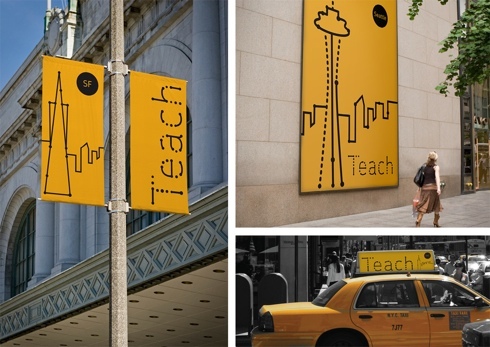 Image from a Studio 360 project to rebrand teaching. Used under a Creative Commons license.